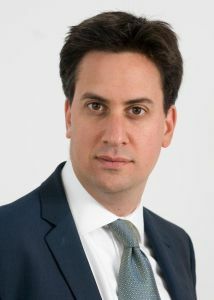 Below is the text of the speech made by the Leader of the Opposition, Ed Miliband, at the Labour Party conference in Liverpool on 26th September 2011. It’s great to be in Liverpool. A generation ago a Labour leader came to Conference to condemn the behaviour of a Labour Council in Liverpool. Today I come to Liverpool, proud to hold our Conference in this great city. Proud of the work our Labour council is doing. Conference, it’s been a busy year for me. There’s one person I want to thank more than any other. For her love, her support, for her encouragement. Ask me the three most rewarding things I’ve done this year. Being at the birth of our second son Sam. It is 2011 after all. And starting to tell Daniel, my older son, the stories my Dad used to tell me. My kids, Daniel and Sam. A new generation of Miliband brothers. But just to reassure you. We’re really hoping they become doctors too. They called it Ed Nose Day. In case you wondered listening to me, it was a great success. I had a deviated septum and it needed repositioning. He gets elected and everything moves to the centre. A year ago I was elected your leader. And I want to thank one colleague in particular for her support over that time. For her help, her advice, for her friendship, and her commitment to equality and social justice. Harriet Harman, our fantastic deputy leader. Conference, let’s get down to business. This is a dangerous time for Britain, and for Britain’s economy. The Government’s austerity plan is failing. You can sense the fear that people have as we watch the economic crisis that stalked our country in 2008 threatening to return. Stock markets round the world falling. The United States in difficulty. And people in Britain losing their jobs. Now is not the time for the same old answers. From us, on the issues that lost us your trust. From this Government, on the growth crisis we face. You need to know that there is an alternative. You need to know that it is credible. So people need to know where I stand. The Labour Party lost trust on the economy. And under my leadership, we will regain that trust. I am determined to prove to you that the next Labour Government will only spend what it can afford. That we will live within our means. That we will manage your money properly. As someone who believes that government can make a difference, I have a special responsibility to show you that every pound that is spent, is spent wisely. The next Labour Government will still face tough decisions. We won’t be able to reverse many of the cuts this Government is making. And let me tell you, if this Government fails to deal with the deficit in this Parliament, we are determined to do so. It’s why we will set new fiscal rules to bind government to a disciplined approach. And it’s right, as a down payment, to tell you that we would use every penny of the sale of bank shares to pay down the debt. But I have to tell you frankly. I have a fundamental disagreement with the Government. They believe Britain can address our problems of debt without addressing our problems of growth. Think of how you pay off the credit card bill. You need to make savings in the household budget. But if you lose your job and the money stops coming in, you can’t pay off the bill. People in Britain are losing their jobs. And the recovery has stalled. Of course, the world economy is suffering. But our Government is making it worse. Because the current plan to raise taxes and cut spending more dramatically than any other country is not working. A year ago, lots of people thought the Government was taking the right course. But one person in particular stood outside the consensus. Labour’s Shadow Chancellor, Ed Balls. But he is not interested in being proved right. I am interested in the Government doing the right thing by the British people. So there is a big choice facing the country. Whether to stick on the current plan or to change course? For Britain and other countries to act together to get our economies moving. Like a VAT cut now to put more money in people’s pockets. And action to put our young people back to work. I say to David Cameron. Recognise what is staring you in the face. And understand that protecting our economy matters more than protecting your failed plan. So I’m going to tell it straight. That’s the lesson I have learnt about this job and myself over the last twelve months. To take risks in the pursuit of that. And to stand up for what is right. The moment it came home to me most was when I heard the terrible news that Milly Dowler’s phone had been hacked. Someone had hacked into the voicemails of a missing teenager. Deleted them from her phone. Given her parents false hope. As Justine said to me that morning, it was sick that someone could do that. That’s why I had to speak out. I knew when I said what I did that I was breaking rule number one of British politics. Don’t mess with Rupert Murdoch. I did it because it was right. That’s the lesson I have learned most clearly in the last year. The lesson that you’ve got to be willing to break the consensus, not succumb to it. You know, I’m not Tony Blair. I’m not Gordon Brown either. Great men, who in their different ways, achieved great things. And I’m going to do things my own way. That is what it means to lead. Nobody ever changed things on the basis of consensus. Or wanting to be liked. Or keeping your head down. It’s a lesson for me and it’s a lesson for my party too. Don’t believe this stuff about governments losing elections, rather than oppositions winning them. It sounds to me like a consolation prize for opposition leaders that have lost. I’m not interested in consolation prizes. I’ll tell you what I’m interested in. Winning back the trust of the British people. Winning the next general election. We know waiting for the Tories to fail won’t win us back your trust. And we won’t deserve your trust if that’s what we do. Paying homage to past leaders won’t win us back your trust. And we won’t deserve it if that’s what we do. Asking to carry on where we left off in government won’t win us back your trust. Ambition to change our country. It’s why we were founded. It’s the only point in doing the jobs we do. And it’s the reason I stood to be the leader of this Party. And it is urgent, at this moment, in Britain 2011. In every generation, there comes a moment when we need to change the way we do things. And I believe from our conversations over the past year that you, the British people, know it. You’ve seen a series of crises hitting our country over the last few years. Not the first time we’ve seen decent people with the right values losing out to those with the wrong ones. The banking crisis, MPs’ expenses. From them all a something for nothing culture. Who cares as long as you can get away it. And these are just the noisy scandals which grab the front pages. But you know there’s a quiet crisis which doesn’t get the headlines. It’s about the people who don’t make a fuss, who don’t hack phones, loot shops, fiddle their expenses, or earn telephone number salaries at the banks. It’s the grafters, the hard-working majority who do the right thing. It’s a crisis which is happening in your town, your street and maybe even in your home. It is a crisis of the promises made over the last thirty years. The promise that if you’re in work, you will do better each year. The promise that if you work hard at school the doors of opportunity will open up to you. The promise that if you teach your kids the difference between right and wrong and bring them up properly, they will get a good job, and a decent home. These crises point to something deep in our country. The failure of a system. An old set of rules. An economy and a society too often rewarding not the right people with the right values, but the wrong people with the wrong values. So the task of leadership in this generation is no ordinary task. It is to chart a new course. And strike a new bargain in our country. The problem isn’t the people of Britain. I saw it when I met our troops in Afghanistan. Called to serve our country. 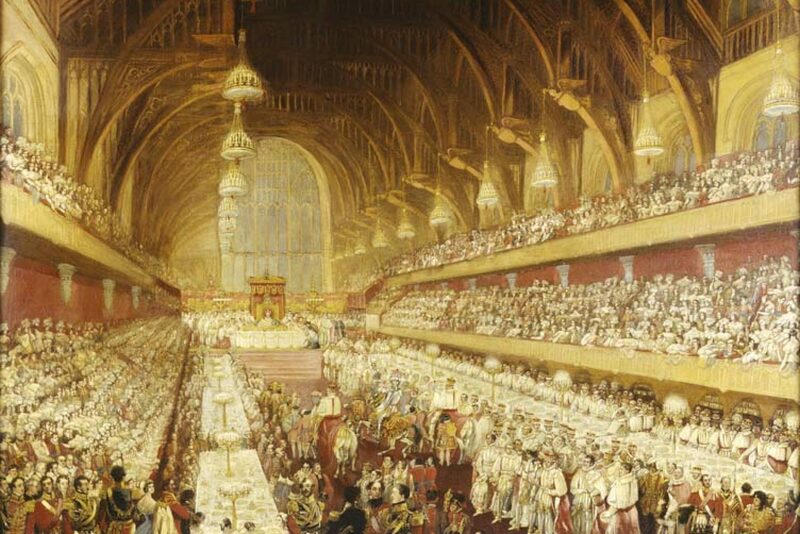 At this moment, as we meet in the comfort of this hall, hundreds, thousands of our troops are risking their lives. In harm’s way, so far from home. We should think of them today and every day. Let’s all thank them and acknowledge the heroism they show on behalf of our country. And as always in our history, we see the true British character in moments of crisis. We saw it during the riots. It was a terrible moment for Britain. People looting shops, burning cars. It even happened right by my old school. But for every person that looted, there were hundreds, thousands who said this will not stand and came out to help with the clean up. I saw it in Manchester, people of all generations, who came out the next morning to get the city back on its feet. Those young people with the brooms. Those young people who join us at Conference today. And let us celebrate what they did. Let us celebrate too those brave police officers who worked day and night to bring order to our streets. They put themselves in harm’s way and we should thank them for it. Citizens and public servants alike. Theirs are the true values of Britain. They are the true face of Britain. And when we talk about the places where the riots happened, let’s remember that the vast majority of people who live there are decent, law-abiding, community-spirited. We must punish those who do wrong. But I’m not with the Prime Minister. I will never write off whole parts of our country by calling them sick. We are not a country of bad people but great people. Great people in a great country. Ready to celebrate the Olympics next year. Olympic Britain 2012, ready to light up the world. But with such great people, how have we ended up with the problems we face? It’s because of the way we have chosen to run our country. Not just for a year or so but for decades. Now there are hard lessons here for my party which some won’t like. Some of what happened in the 1980s was right. It was right to let people buy their council houses. It was right to cut tax rates of 60, 70, 80 percent. And it was right to change the rules on the closed shop, on strikes before ballots. These changes were right, and we were wrong to oppose it at the time. But while some of it was right, too much of what happened was based on the wrong values. That’s where New Labour came in. The rebuilt schools, new hospitals, more police. The minimum wage, tax credits, the new deal. Half a million children lifted out of poverty. Britain with Labour: the only country in Europe where poverty was not going up, but was going down. My party is proud of that record. But good times did not mean we had a good economic system. We changed the fabric of our country but we did not do enough to change the values of our economy. You believe rewards should be for hard work. But you’ve been told we have to tolerate the wealthiest taking what they can. Your living standards have been squeezed by runaway rewards at the top. You believe we owe duties to each other. But in our economy you’ve been told that duties to each other come second. And so while many companies do the right thing and train their workforce, others do not. You’ve seen your sons and daughters not getting an apprenticeship, stuck in a job where they can’t progress. And we have seen immigration policy which didn’t work for the people whose jobs, living standards and communities were affected. You believe in the values of the long-term. But in our economy, you’ve been told the fast buck is ok.
We’ve ended up with a financial crisis and you’ve ended up footing the bill. You believe in a society where everybody is responsible for their actions. But you’ve been told that if companies are big enough or powerful enough they can get away with anything. Big vested interests like the energy companies have gone unchallenged, while you’re being ripped off. So you have been told for too long that the only way our economy can succeed is if we reward not your values, but a totally different set of values. The triumph of finance over industry. The victory of vested interests over the public interest. And who’s been rewarded in this economy? Take Fred Goodwin, who ran the Royal Bank of Scotland. He was at the heart of the banking crisis. Compare him to Sir John Rose, former Chief Executive of Rolls Royce, a great British business leader. Creating wealth and keeping jobs in this country. He is the true face of British business. The vast majority of our businesses that have the right values and do the right thing. And creating real, lasting value. But at the time of the financial crisis, Fred Goodwin was paid over three times more than Sir John Rose. I tell you something, Fred Goodwin shouldn’t have got that salary. We shouldn’t have given Sir Fred Goodwin that knighthood either. You know what your values are. You believe in looking out for each other. You believe we are stronger together. But we have allowed values which say take what you can, I’m in it for myself, to create a Britain that is too unequal. The people at the top taking unjustified rewards isn’t just bad for our economy. It sends a message throughout our society about what values are ok.
And inequality reinforces privilege and opportunity for the few. You believe whether you get on shouldn’t depend on where you come from but what you have it within you to become. But as the rungs of the ladder grow further and further apart, the chance of climbing up, become harder. Think of some of the kids at school today in my constituency, in Doncaster. Ask yourself, what are their chances, however bright, of getting into one of the top universities, competing against people with all the chances in life? Of having the network of connections that will set them up for their career? 21st century Britain: still a country for the insiders. My parents fled the Nazis. Who built a life for us . The heritage of the outsider. The vantage point of the insider. The guy who is determined to break the closed circles of Britain. And as young people confront the choices they have in life, they see routes to success today based on a wrong set of values. The something for nothing of celebrity culture. The take what you can of the gangs. And in parts of some of our communities, a life on benefits. But they are not the values being rewarded in our benefits system. We must never excuse people who cheat the welfare system. The reason I talk about this is not because I don’t believe in a welfare state but because I do. We can never protect and renew it if people believe it’s just not fair. If it’s too easy not to work. And there are people taking something for nothing. And if at the same time people who have paid into the system all their lives find the safety net full of holes. It’s all got to change. We need a new bargain. Britain’s values in our economy, in our society, and in the way our country is run. Let’s confront head on the big challenge we face of building a new bargain in our economy. Built on values of hard work, something for something, the long-term. We need a new era of wealth creation in this country. But it will not happen with the old set of rules. We are competing not just with Germany and Japan, but with China, India and Brazil. Don’t believe those who would tell you that the kind of economy we have now will help us to compete in that world. We can’t pay our way unless as a country we invent things, make things, and sell real services and products. Britain’s future will be built not on credit default swaps but on creative industries. Not low wages and high finance, but low carbon and high tech. Not financial engineering, but real engineering. Of course, the banks and financial services are important to Britain. They employ people right across the country. They will still be important to Britain in the future. But they must change so that they are part of the solution to our economic future, not part of the problem. You’ve been told all growth is the same, all ways of doing business are the same. You’ve been told that the choice in politics is whether parties are pro-business or anti-business. But all parties must be pro-business today. If it ever was, that’s not the real choice any more. Are you on the side of the wealth creators or the asset strippers? The producers or the predators? Producers train, invest, invent, sell. This isn’t about one industry that’s good and another that isn’t. Or one firm always destined to be a predator and another to be a producer. It’s about different ways of doing business, ways that the rules of our economy can favour or discourage. Look at what a private equity firm did to the Southern Cross care homes. Stripping assets for a quick buck and treating tens of thousands of elderly people like commodities to be bought and sold. They may not have sold their own grandmothers for a fast buck. But they certainly sold yours. They aren’t the values of British business. It must never happen again in the new economy we build. We must learn the lesson that growth is built on sand if it comes from our predators and not our producers. For years as a country we have been neutral in that battle. They’ve been taxed the same. They won’t be by me. We need the most competitive tax and regulatory environment we can for British business. Just like Sheffield Forgemasters before them. Having Nick Clegg as the local MP didn’t help much. You know, the boundary review means his seat will be represented by a Tory after the next election. Supporting the producers, that is what it means to be pro-business today. That is why I say all major government contracts will go to firms who commit to training the next generation with decent apprenticeships. And none will go to those who don’t. And it is also why I say, the new bargain in our economy must be built on co-operation not conflict in the workplace. Raising productivity, working together, helping firms to compete. That is the most important future for the trade unions in this country. And we must challenge irresponsible, predatory practices wherever we find them. We need investment in energy here in Britain. But our energy companies have defied the laws of gravity for too long. Prices go up but they never seem to come down. I believe our environment and climate change is a crucial issue for our future. An essential part of the new bargain. That’s what my kids will want from us on the environment when they grow up and ask whether we were the first generation to get it or the last generation not to. So over time there is going to be upward pressure on energy prices. But that makes it all the more important we get the best possible deal for customers. So let’s break the dominance of the big energy companies. Let’s call a rigged market what it is. And get a fairer deal for the people of Britain. But as we challenge the predators let’s celebrate Britain’s producers. If people make money and profit through hard work, hard graft, something for something, let’s praise them. And let me tell you what the problem is with these Tories. They don’t understand who the real wealth creators of this country are. Or the values our economy needs for them to succeed. They talk as if the CEOs and the executives are the only people who create wealth. Of course great business leaders make a huge difference to our country, and I applaud them. But the small businesses that are the lifeblood of our economy are also the wealth creators. The scientists and innovators are also our wealth creators. And the young apprentices are also the wealth creators. The Tories aren’t building a new bargain that supports the right people with the right values. Young people, doing the right thing, wanting to go to higher education are going to find that their hard work and ambition will be punished with tens of thousands of pounds of debt. And yet at the same time, George Osborne plans cuts in corporation tax for the banks. Now some of you would like no fees at all. But it wouldn’t be responsible to make promises I can’t keep. Let me tell you what I would do. If we were in government now, we’d be cutting the costs of going to university from a maximum of £9,000 to £6,000. To the young people who want to get on and contribute to our country my message is simple. I won’t let you be priced out of your future. Labour is on your side. We can’t afford to carry on with so many young people locked out of opportunity. Three thousand of our brightest young people, at state schools, get the grades to go to our most competitive Universities. It creates a sense that there is no something for something deal. I went to a fantastic local school. It was a tough area but it was a school that changed lives. But the truth is that the problem in some of our schools is not just investment. Of bright children held back when aspirations are low. Or when closed circles at the top of society shut them out. In any one year more than a quarter of our schools don’t even send 5 kids to the most competitive universities. Is anyone seriously telling me that there aren’t pupils at any of those schools who are good enough to go? And we will change it. Here is my challenge to those schools and Universities. Lift your ambition, lift your sights. Open your eyes, open your doors. Say to the very brightest children at every school: if you get the grades, you’ll get a place. And it’s not just in our schools that I want to change the values that get rewarded. The new bargain must demand responsibility from all. We’ve got to put an end to the idea that those at the top can take whatever they can, regardless of what they give back. It’s why we must end the cosy cartels of the way top pay is set in our economy. So every pay committee should have an employee on the board. And the something for something deal requires that sacrifice as well as prosperity is fairly shared. Have you noticed how uncomfortable David Cameron is when he has to talk about responsibility at the very top? He found it easy to be tough on you. He called it a tough decision. He said they couldn’t be afforded. Help paying for childcare was hit. He said it was the only thing he could do. When you have had to pay, it’s always necessary, it’s always permanent, it can never be reversed. And yet at the same time they are straining at the leash to cut the 50p tax rate for people earning over £3,000 a week. It’s based on the wrong values. How dare they say we’re all in it together. So we need a new bargain at the top of society, and in our benefits system too. So it rewards the right people with the right values. But it isn’t delivering that. And we’ve got to fix it. If you think putting it right means just stripping away welfare then you are better off with Iain Duncan Smith and David Cameron. But at the same time we have to face the truth. Even after reforms of recent years, we still have a system where reward for work is not high enough. Where benefits are too easy to come by for those who don’t deserve them and too low for those who do. So if what you want is a welfare system that works for working people then I’m prepared to take the tough decisions to make that a reality. When we have a housing shortage, choices have to be made. Do we treat the person who contributes to their community the same as the person who doesn’t? Our first duty should be to help the person who shows responsibility. And I say every council should recognise the contribution that people are making. David Cameron likes to talk tough on welfare, but do you know who the big losers are from his changes? Time and again it’s those who work hard, who try to get on. And it is the single mum working as a dinner lady who loses help with her childcare. And we have got to change it. And while those who do the right thing are hit hard, the demands on those who don’t work aren’t tough enough. Gone is the something for something requirement that every young person out of work for six months will be required to work. This Government won’t make the commitment to help our young people back to work. Decency, fairness, helping those who do the right thing. I believe in a benefits system with values. And I believe in the value of work. Now under my leadership, we will be the party which makes welfare work too. And it’s not just in our benefits system that I want to change the way government works. It’s in our public services as well. Millions of public servants deliver a fantastic service every day of every week. But we all know that sometimes powerful organisations can become unaccountable. Work not in the interests of those who need them but in their own interests. That’s what vested interests are. My task, our responsibility, is to make government work better for people. The patient frustrated when they can’t be seen by the person they want. The victim of crime who just wants their case properly investigated. You stand in the queue. You hang on the phone. And then all you get? To give power to the public. Like the power to the elderly couple to choose whether they are cared for in a care home or in their own home. Or the parents I know struggling with their council on their child’s special needs who want to know who else is facing the same challenges. So I will take on the vested interests wherever they are because that is how we defend the public interest. And there is no greater public interest than our National Health Service. Cherished by all of us. Today defended by Labour once again. Why does Britain care so much for the NHS? Because, more than any other institution in our country, the values of the NHS are our values. I saw it this year with the birth of our son, Sam. Like millions of other families, mine had the best of care from doctors, nurses. And nobody asked me for my credit card at the door. And when I look at everything this Tory Government is doing, it is NHS that shocks me most. Because David Cameron told us he was different. David Cameron knew the British people did not trust the Tories with our NHS. So he told us he wasn’t the usual type of Tory. And he asked for your trust. And then he got into Downing Street. And within a year – within a year – he’d gone back on every word he’d said. And the biggest betrayal of all? The values of the NHS. The values he promised to protect. Hospitals to be fined millions of pounds if they break the rules of David Cameron’s free-market healthcare system. The old values that have failed our economy now being imported to our most prized institution: the NHS. Let me tell David Cameron this. It’s the oldest truth in politics. He knows it and now the public know it. You can’t trust the Tories with the NHS. If you want someone who will rip the old rules so that the country works for you, don’t expect it from this Prime Minister. On the 50p tax rate, on the banks, on the closed circles of Britain, on welfare, on the NHS, he’s not about a new set of rules. He’s the last gasp of the old rules. The wrong values for our country and the wrong values for our time. You know Britain needs to change. Every day of your life seems like a tough fight. To do the best by your kids. To look after your Mum or Dad. And it will be a tough fight to change Britain. The fight for a new bargain. A new bargain in our economy so reward is linked to effort. A new bargain based on your values so we can pay our way in the world. A new bargain to ensure responsibility from top to bottom. And a new bargain to break open the closed circles, and break up vested interests, that hold our country back. I aspire to be your Prime Minister not for more of the same. But to write a new chapter in our country’s history. To fulfil the promise of each so we fulfil the promise of Britain.